Hey there my dear friends! 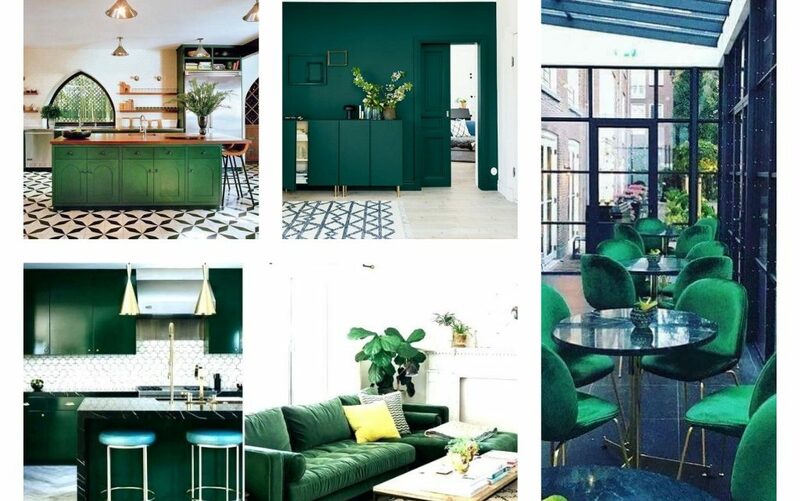 There are many reasons why you need to choose a green colour for the interior and here I will mention some of it. 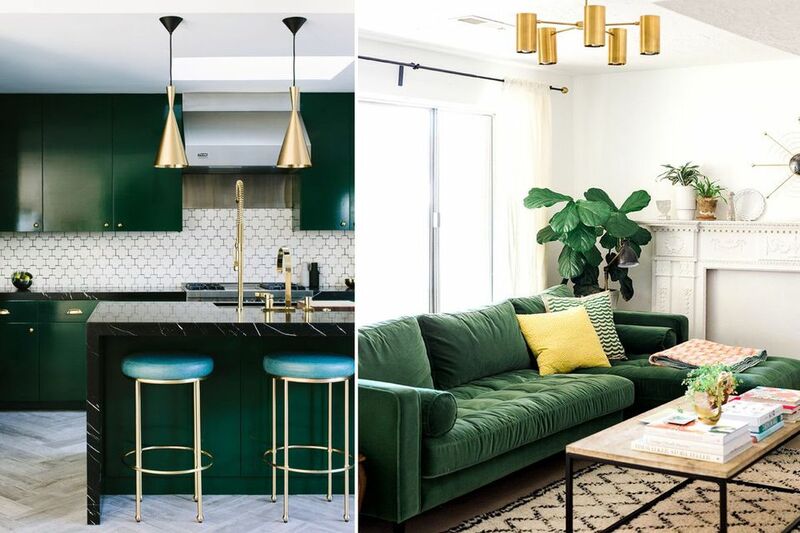 Choose the dark green for each room of the house, for the dining room, for the bathroom, for the living room and bedroom. Also, choose it for the entrance hall and enjoy in modern decor. 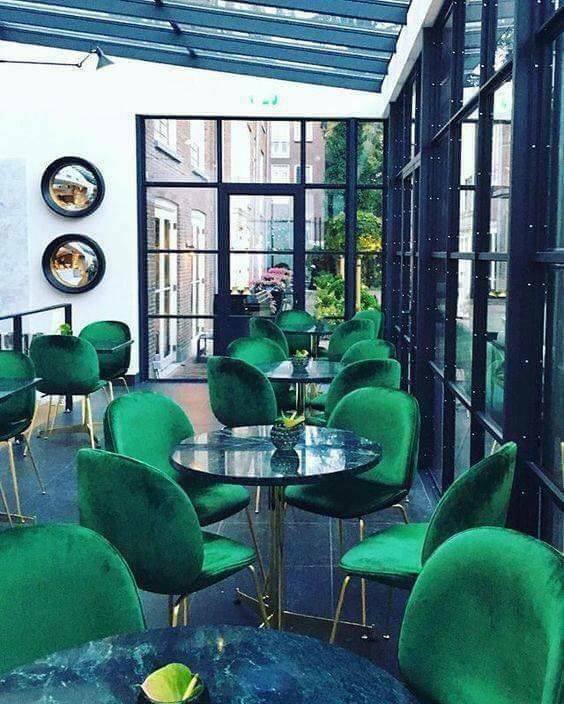 Scroll down and see the following dark green interiors to die for. Don’t forget to share the ideas with friends who enjoy in modern home designs. By the way, when you are already scrolling on our website, please also read about amazing house exterior design that looks so good. 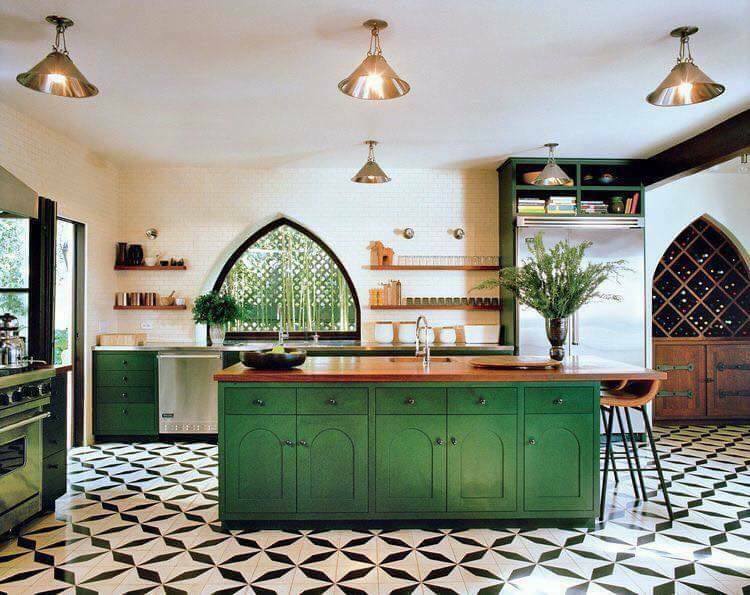 Once if you choose to use the green colour for interior, you can add it in each room of the house. We will start this post with the dining room place and we will finish with the living room. Stay with us to the end of the post and check carefully all the photos. This kitchen island will beautify the kitchen place of your house. Your house can have the very best look with this design and chosen colour. I invite you to pay attention to the photo shared hereinafter. 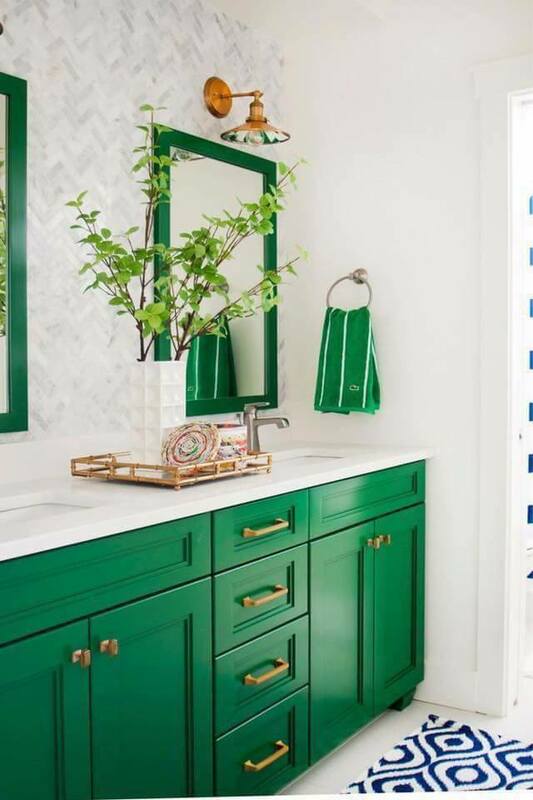 These drawers painted in green colour will give your entryway a special and modern look. You can have all the shoes organized here and in the same way to wish WELCOME to all the guests which are entering in your house. 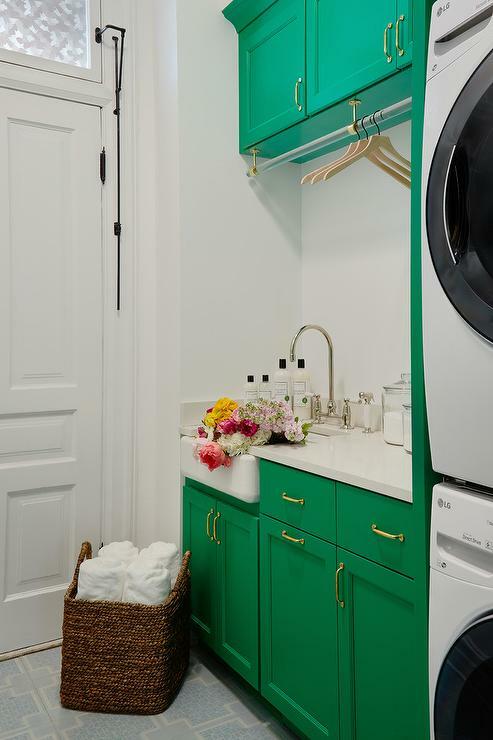 Green is great colour for bath too. It will give the bath place refreshing look and your bathroom will look clean each period of the day. See the photo now and think if you like to copy the style for your home. 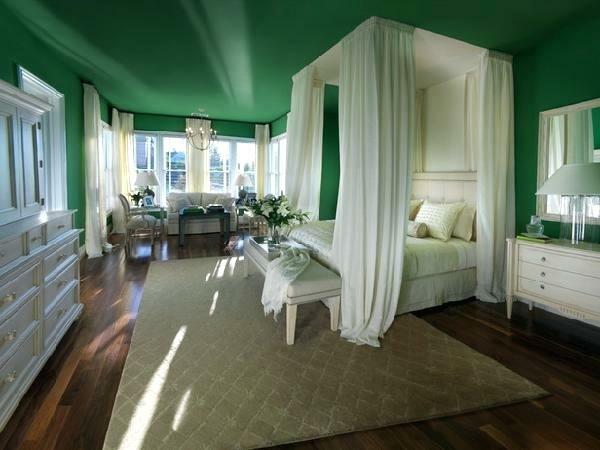 Give your bedroom refreshing look with addition of green and also a little accent of white. These two colours will help you to create a room that you will adore, a room where you will sleep in. 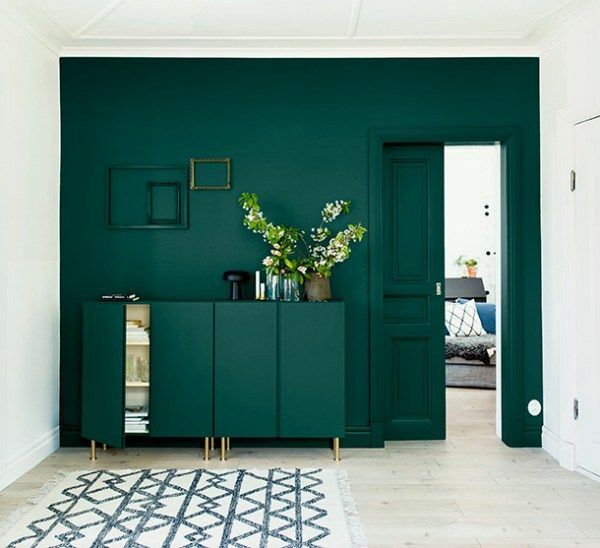 Don’t be afraid to add green door, green walls and all this in the room where you spend most of your time, in the living room place. Find inspiration in the photo now and see how will look this. You can have green walls in each room of the house. Now, as I mentioned in the first paragraph, we will finish the post with the design of the kitchen and living room area. As you can see, the green colour gives a house one extra good look. This is all for today, my dear friends. I hope that our ideas were enough inspiring for YOU!